I have two pieces of work in this touring exhibition. This year over 400 of the submitted pieces have been selected by an independent panel of professionals from the world of print and will feature in all of the galleries detailed below. The next venue for this touring exhibition is The New Sentinel Gallery, Wivenhoe, Essex. Barkway's popular Village Market takes place in the grounds of Manor Farm, Barkway each May. Plenty of stalls outside. This year the Craft Market is in the Church - I will be there with a selection of my work. There's plenty of parking, food stalls and entertainment for the children. This is my second year at The Contemporary Textiles Fair. Held every year, it is an established must-visit event in the textile lovers’ calendar, offering a perfect opportunity to see a diverse range of designer makers showing a stunning array of distinctive and colourful textiles. 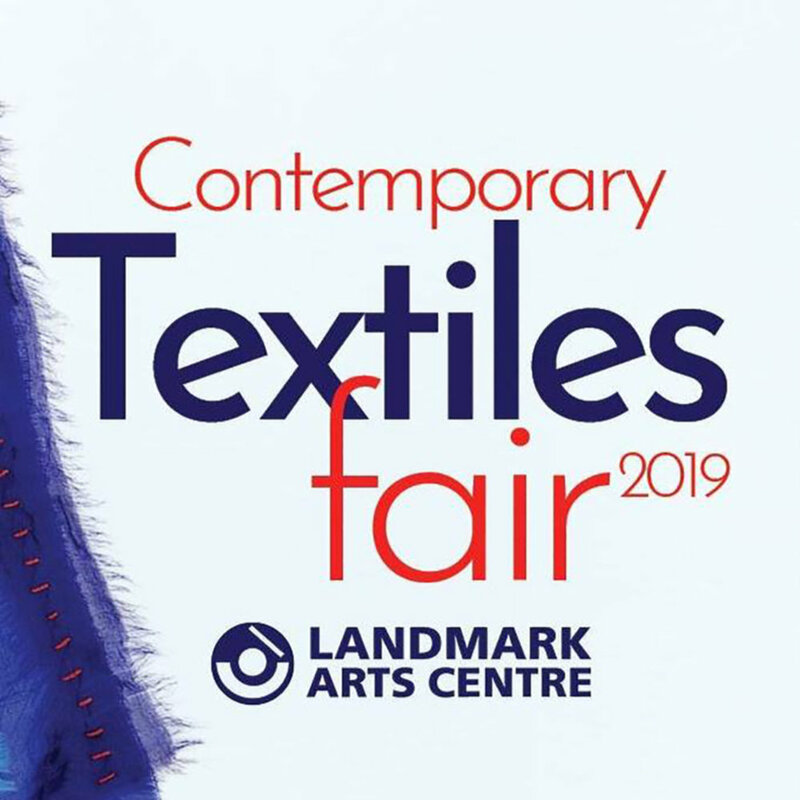 Richly embellished embroidery, hand-dipped shibori, eco prints & naturally dyed artworks, contemporary knitted homeware, sumptuous silks and handwoven scarves, wonderful handbags and fascinating 3D wall hangings – the range of work on show is beautiful and diverse. I have some special downloadable ticket offers available. A talk about my work and inspirations to Amwell Quilters. Members only. The second Hertfordshire Etsy Team Christmas Fair. After the success of last year's event, this year's fair is at a much large venue in Borehamwood. Forty Etsy shop owners will be selling their work, as well as a pop-up Tea Room & Bar, a craft section for children and goody bags for some lucky customers throughout the day. I have two pieces of work in this touring exhibition. This year over 400 of the submitted pieces have been selected by an independent panel of professionals from the world of print and will feature in all of the galleries in the tour. The next venue for this touring exhibition is ArtWorks in Cambridge, in April 2019. I will have a stall at Tewin Bury Farm Hotel’s first Christmas Market to be held in the Meadow Barn. There will be a range of stalls selling festive goods and gifts and an on site café for some warming refreshments and lunch. Tickets are £1.00 and can be purchased on the door. I have two pieces of work in this touring exhibition. This year over 400 of the submitted pieces have been selected by an independent panel of professionals from the world of print and will feature in all of the galleries detailed below. The second venue for this touring exhibition is L’Artishe Gallery & Studio in Swanage. I have two pieces of work in this touring exhibition. This year over 400 of the submitted pieces have been selected by an independent panel of professionals from the world of print and will feature in all of the galleries detailed below. The launch event is at The Garage Gallery in the beautiful coastal resort of Aldeburgh, Suffolk from 21 - 25 September.